Mileage fraud may be more prevalent in UK than previously thought, risking safety as well as costing millions of pounds every year. According to a new study of over 150,000 vehicles in the UK, more than one in every ten cars has a clocked mileage. 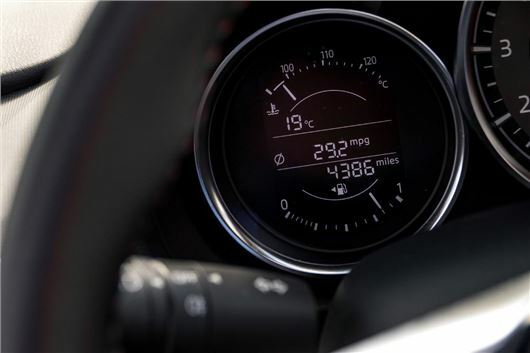 London, Birmingham, Manchester and Leeds were identified as the top four regions for mileage fraud according to Carly - Connected Car, a diagnostic app that detects mileage fraud. Approximately 18 per cent of vehicles in the UK's top hot spots displayed the incorrect mileage, three per cent higher than the national average of 15 per cent. One of the reasons for the rise in mileage fraud is the increasing popularity of affordable car finance plans. Personal Contract Purchases and Personal Contract Hire deals often come with strict mileage limits where each additional mile can be charged. This has led to some unscrupulous owners turning to 'mileage correction' firms that offer to dial back the odometer to avoid expensive financial penalties. The knock-on effect on the used car market is that unsuspecting motorists are over paying for vehicles which have had their mileage digitally altered. Cap HPI estimate that this costs UK motorists more than £800 million each year. The safety implications are also cause for serious concern, with cars needing to be serviced at set intervals to keep components working and to check for any major faults. Results from Europe, where the app has been available for three years, suggest the issue is bigger than consumers may think. Data collected from 300,000 cars highlighted that 23 per cent of MINI cars had experienced some form of manipulation. This figure rose to 27 percent for the BMW 5 Series. On average, 15 per cent of all BMWs checked had some form of tampering with 90 per cent relating to clocked mileage. One particular BMW 5 Series, built in 2000, indicated 18,703 miles, however, the car had actually been driven over 120,500 miles. Figures from September 2017 indicated that around 2.3 million cars in the UK are clocked. Cap HPI estimate that this costs UK motorists more than £800 million each year. How can I avoid buying a clocked car? A thorough visual inspection is a good way of protecting yourself. Look at the wear and tear on the upholstery and chips in the paintwork - typical clues of high mileage. An extremely worn interior on a car that appears to have 30,000 miles on the clock should set alarm bells ringing. Also check documentation, like MoT and service records, to ensure they're consistent with each other and the vehicle. At every service – usually 12-monthly or every 12,000 miles – the vehicle's mileage should have been recorded. >> Why get a vehicle history check? An HPI check, which includes a National Mileage Register check, will also bring up any red flags like whether a vehicle is currently recorded as stolen, has outstanding finance or has been written-off. Sometimes a fraudster may have purchased a new service book or altered the existing one, so a call to the previous keeper to validate the mileage when they sold is also worthwhile. Finally, check the mileage of the vehicle on every viewing. Clockers sometimes wind back a vehicle's mileage reading for the first viewing, enticing buyers into purchasing, only to return the clock to standard on a second viewing, or after a purchase, to ensure everything appears legal again. The problem is that with leased cars they don't have an MOT as they are generally not 3 years old, so no MOT history to check there. Plus a car with 30,000 miles is unlikely to have a worn interior. You would never tell compared to a car which has done say 15,000 miles. And even MOT records are not much comfort as the clocking would be done in advance of each MOT date (just as it would be in advance of each service date). Surely vehicle manufacturers can devise a recording system that is tamper-proof and should be obliged by legislation to introduce it?